It's a bit of a dreary Thursday here in western New York, but what are 3 things that I'm grateful for this Halloween? "Anne, come give Mommy a kiss!" "NO!" *huffily turns her back* Yes, she TURNED HER BACK ON ME. Right there in her pink kitty cat footed sleeper. "Well, you have to be a good girl today if you want to go trick-or-treating tonight. Are you excited to wear your pretty Rapunzel dress?" "NO! NO RAPUNZEL DRESS! Anne NOT wear it!!" So. You can see why I (a) am going to go to Mass by myself tomorrow morning, and (b) am bringing a vodka & tonic with me tonight when we go trick-or-treating. A fun time will be had by all, I assure you. But I digress. Which I do. A lot. -2- I have consolidated down to a single handbag. You're probably wondering why the heck you read this blog when I discuss such superficial things, but I assure you, this actually is a quality of life issue. A woman who has small children, plus is a knitter, a dancer, and a librarian often has a LOT of "stuff" in tow. At any given time, I could need my Kindle, a diaper, an in- progress sock, a case of needles and cables, several gigantic safety pins, her iPod, a sippy cup, a coin scarf, a random ball of yarn, a couple of books, a veil, or a box of Cheerios. And multiple bags were just cramping my style. It's a Namaste Harlow bag, and I sort of love it. And yes, it's orange. Well, more accurately PUMPKIN SPICE. So perfect for the time of year, no? SEE, I told you I would bring the story back home to our Halloween theme, SNAP!! And I love the color, it's ridiculous. 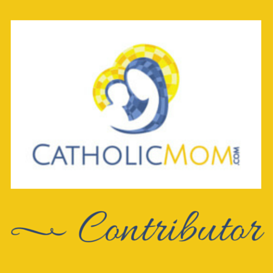 -3- And on this Halloween, I'm so, so grateful for my online Catholic community (link your blog up if you haven't already!) I am so unbelievably grateful that God has blessed me with a community that loves and supports me. I'm officially approaching a milestone age that most women dread, and I'm not too proud to admit that I am one of them, but when I think back to life in my 20's...there is no comparison. My life is joyful and meaningful NOW, encroaching gray hair (not that it stays around for long with my significant powers of coloring...) and smile lines be damned. Age is unfortunately not just a number (how do I know? 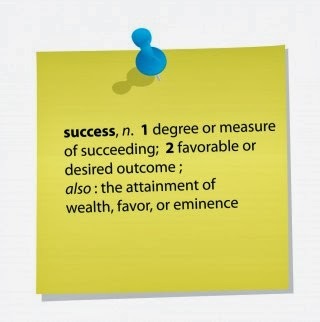 let me count the ways...) but it is what you make of it, and I choose to make it joyful and wonderful. Life is good, my friends. Wing up a prayer for me tonight, if you would, that my toddler is not running down the street screaming while carting off someone's paper mache witch in a pointy hat. I'll toast you with my "water bottle" and say a prayer for you as well. Happy vigil of All Saint's Day! 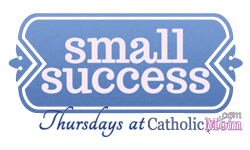 Read other Small Success Thursday posts over at Catholicmom.com! My first & most important requirement for a handbag is that it is big enough to hold at least 1 book. I love the color of that one!